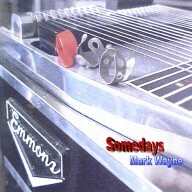 Mark Wayne recorded this set of classic gospel and country tunes in his home studio. His playing is clean and pretty throughout, with no gimmicks or special effects. Mark is an excellent steel player, and this instrumental album of his is truly inspirational.